A number of schools in the Tees Valley took part in the Tees Valley School Games County Festival of 2019 at the Dolphin Centre in Darlington on 3rd April. 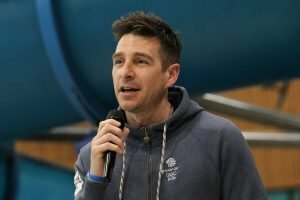 The event which was attended by over 250 talented young sports players was opened by former Olympics, world championships and European championships swimmer, Chris Cook. Children aged between 9 and 14 years old took part in the swimming galas, dance, netball and boccia and special guest, The Mayor of Darlington, Veronica Copeland presented winners with medals. Jean Lordon, Executive Director of Tees Valley Sport said, ‘The School Games is a fantastic event and it’s wonderful to see so many young people take part. Those who took part represented their district and competed against each other in the “Spirit of the Games” – a set of values that embody the ethos of the Olympic and Paralympic Games.